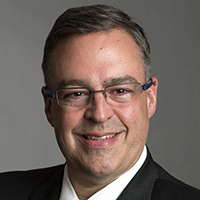 John Haupert leads Grady Memorial Hospital which has a unique partnership with Emory University and Winship Cancer Institute. 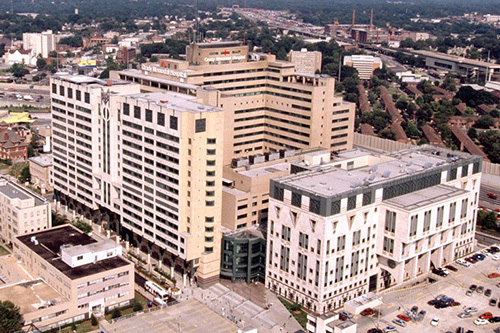 Emory University and Winship Cancer Institute have a unique partnership with Grady Memorial Hospital, providing about 80 percent of cancer patient care. "The Winship Cancer Institute has helped over 15,000 Grady patients over the years by providing the highest quality physicians for our clinics. These physicians have dedicated themselves to teaching and overseeing our fellows and residents for decades," says John Haupert, Grady's president and CEO. As an example, Haupert points to "the long-term success and collaboration with Grady's Avon Comprehensive Breast Cancer Center under the leadership of Dr. Sheryl Gabram. She is the heartbeat of the cancer center. The entire leadership team has worked tirelessly and successfully to see that we meet the needs of all key stakeholders and ultimately our patients who come from all over the state of Georgia." Another success, he says, is the result of Winship faculty working with Grady's Georgia Cancer Center for Excellence (GCCE). "Under Drs. Leon Bernal-Mizrachi, Jay Shelton and Paul DeSandre's guidance, we are continually focused on improving in five key areas: clinical, quality, research, teaching, and patient-centered care." Emory University and Winship Cancer Institute have a unique partnership with Grady Memorial Hospital.